We know that in the hospitality business it is hard to reach success without talent, enthusiasm and commitment. In order to be experts in the service we provide we place our assets at the forefront of our business, that is, our people. We value our reputation greatly and for that reason we are dedicated to maintain a culture of community, professionalism, creativity and teamwork. We are the specialists in the hospitality industry, aiming to offer our guests only delightful experiences of exceptional value. One our main objectives is to spread the recognition of prime leading brands in the Baltic’s and Central & Eastern Europe as a sphere of excellence that manages and operates the finest hotels located in vibrant hearts of the city. Our goals, views and values are the cornerstone of our personalised service provided on the behalf of our guests through which we aim to satisfy the differing needs of our customers. We believe in seeking perfection through our greatest talent, our people. Our teamwork, enthusiasm and company values aim to sustain transparency and brand culture that drives excellence when it comes to fulfilling the needs of frequent business and individual travellers. This directs us to the essence of Europa Royale a reliable personalised service where “We’ll take care of the rest”. The Europa Royale concept is focused on providing the guest with access to convenience in safe, prestigious and central locations. Our success is based on excellent communication, transparency and clear understanding between our hotel staff and guests’ needs. This allows us to monitor, improve and innovate for our differing customers' needs and provide extra value. Our model warrants fair accomplishment to our employees, customers and the company’s long term future. We cherish our beliefs and carry them out into practise by setting out examples and treating each other as you would treat yourself. We seek to interact with our guests, associates, employees in a way that we would relate with others. The hotel lies in its splendor of a nineteenth-century mansion in a peaceful spot in of the Old Town. The city's famous landmarks, cozy restaurants, sunny terraces, stylish shopping and cultural offerings are reachable within a walking distance. The hotel is located in the city centre next to the historic and picturesque Verman Park. The historical house of the legendary Benjamins was fully restored and became a luxurious hotel. Built in 1876, the most splendid mansion was reconstructed in authentic character. The hotel was established in a thoroughly reconstructed 19th century building formerly known as the famous SPA of the Czar. It is located in the old part of SPA town Druskininkai, praised for its unique natural resources. 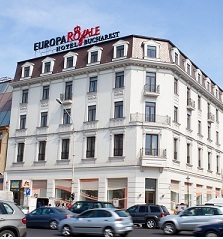 The hotel is located in the centre of the city. There are plenty of business and shopping centers. The hotel is an ideal place for people coming here for business or simply to relax. A beautiful perfectly positioned 19th century building overlooking the Unirii Plaza became an elegant hotel, within walking distance to the government district, most historical and cultural attractions as well as shopping streets, financial district, and downtown entertainment facilities.